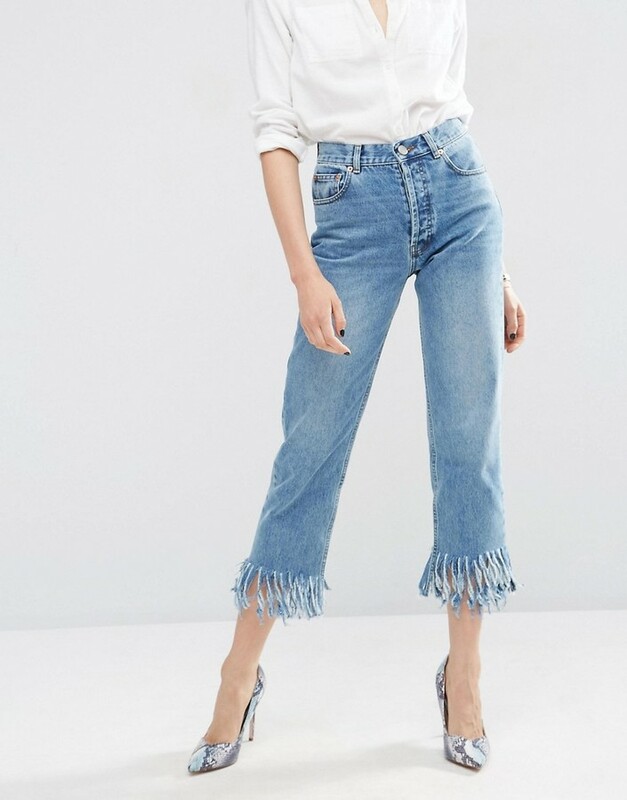 These 3x1 fringe hem jeans retail for $295 from Net-A-Porter. Asos has a fantastic look 4 less for only $29! Click here to view or purchase.